Enjoy TULUM Yoga Retreat that brings you the best Ecotourism, enjoy Amansala Eco Chic Resort. 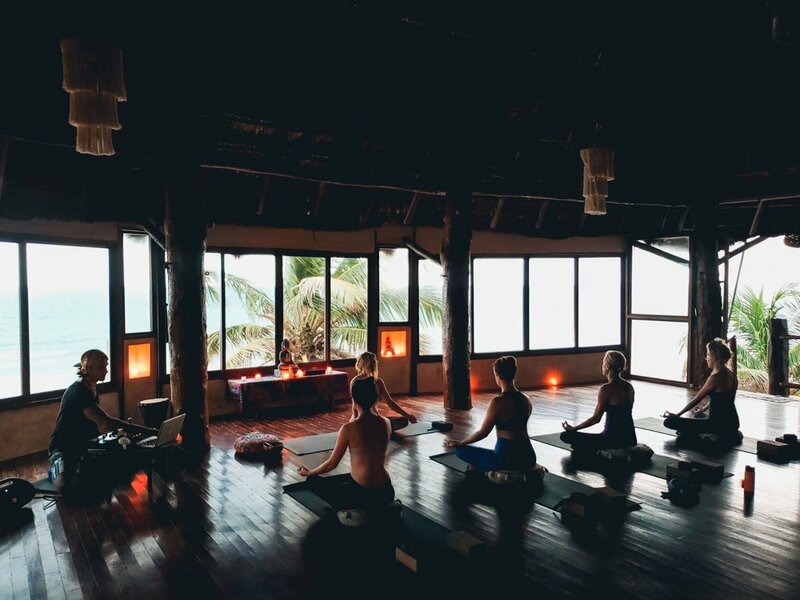 Find your yoga practice, your inner peace, beach & sunshine in an exclusive Eco Chic hideaway. We fell in love with Tulum, and want our guests to leave feeling like they know a little bit more about Tulum Mexico, the Mayan Ruins, the Cenotes and more. We’ve got you covered. Awaken levels of mind, body and spirit connection by letting go of emotional-spiritual baggage and physical toxins that hold you back from revealing your most authentic self to the world. Discover deep personal peace and connection to the universe through our Awakening Meditations (Let go & acceptance), Yoga Practices and ceremonies and morning beach walks. Our TULUM yoga retreat includes everything from the moment you touch down in Cancun Mexico until we drop you back off at the airport. Transportation from Cancun Airport and return. Yoga Classes, Meditations, Ceremonies, Mayan Clay Treatment. Credit for Spa Treatment of your choice. Space is limited to 15 guests. Once registered all guests will receive guidelines, educational resources, and shuttle confirmations. The program was designed to align, open and strengthen the body, focus and clear the mind, awaken the spirit fully, and have a ton of fun along the way with adventures in this beach front paradise. Additional activities available through Amansala, for additional cost.